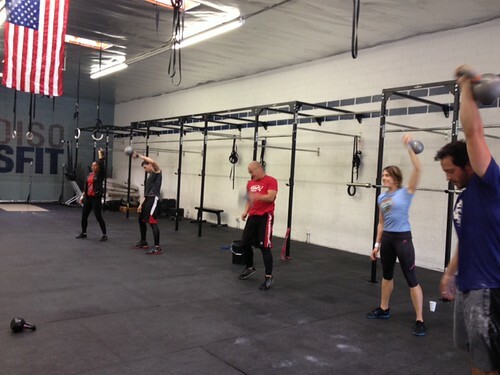 Home » WOD Blog » 13.5: The Grand Finale!! EIE Challenge Tip ‘o the Day: If nerves get the best of you before the CrossFit Games Open workouts, try to close your eyes and take in a few deep breathes. Relax. Lean into the fear and know you are doing something to push your limits. Then, proceed to crush this workout. Congratulations to all of the athletes that competed in this years CrossFit Games Open. It feels like it has been going on forever and I, much like many of you, am tired. We have seen everything from a combination of Burpees and Snatches, box jumps and deadlifts, wall balls (gross) and muscle ups…..all to lead us to a heavy, more challenging “Fran” for the final workout in 13.5. As much as I poked fun at Dave Castro for that ridiculous teaser video he posted earlier this week, I have to give him credit. You will see what kind of fire CrossFit athletes have and it is truly going to be a sight to see. This will be one of those workouts people will talk about for years, I guarantee it. I want to leave you with some advice that I have told many of you before either through one on one conversations or maybe through the daily blog; you absolutely do not want to ask yourself, when you complete this epic WOD, “Could have I done a little more? Should I have stayed on that pull up bar?” NO! Do not finish this WOD asking questions of your own effort. Never leave anything to question, just answer it when the clock hits 3, 2, 1…GO!